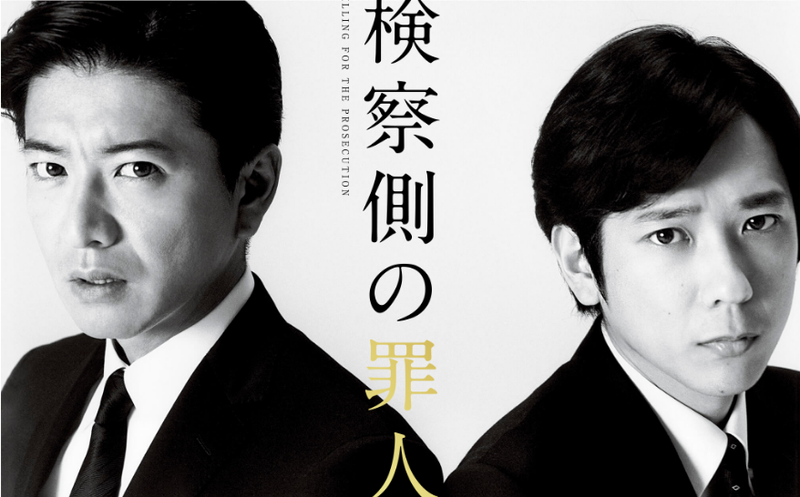 Get your first look at the highly anticipated face off between Kimura Takuya and Ninomiya Kazunari in the movie “Kensatsugawa no Zainin” (Killing for the Prosecution). 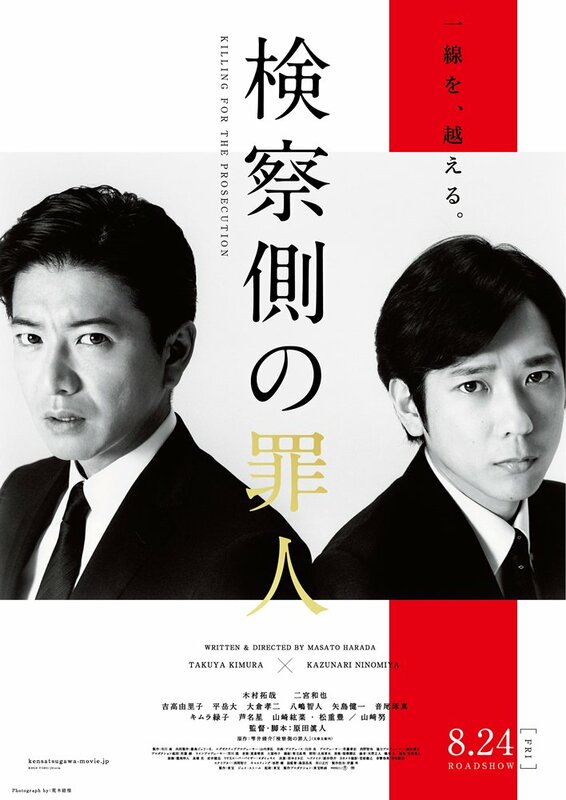 The first poster visual is out and the 30 secs teaser trailer heads straight on to a confrontation scene between Kimura and Ninomiya who both play public prosecutors in the movie. This suspense film is based on the 2013 novel of by Shizukui Shusuke and will be directed by Harada Masato (Japan’s Longest Day, Kakekomi, Sekigahara). The poster visual was taken by Araki Nobuyoshi on September 1, 2017, 2 days before crank up. He commented that “Tension is born by the two of them standing together” during the shoot. The film will be released on August 24. Check out the official movie site and twitter accounts for more info. In the upcoming film, both Kimura and Ninomiya will play Tokyo public prosecutors. Kimura plays the lead as an elite public prosecutor Mogami Takeshi while Ninomiya plays novice prosecutor Okino Keiichiro who looks up to Mogami as a mentor. They both are assigned to a case with the suspect, Matsukura Shigeo, previously involved in a murder case of a middle school girl, which has already passed its statute of limitations. Mogami (Kimura) is bent on proving Matsukura’s guilt as his failure to put him to justice caused the death of his most beloved person. He is also aware of the heavy grief carried by the deceased girl’s family. As Okino (Ninomiya) doubts Mogami’s persistence in setting up the suspect as the culprit, tensions mount between the two as they stand off against each other.